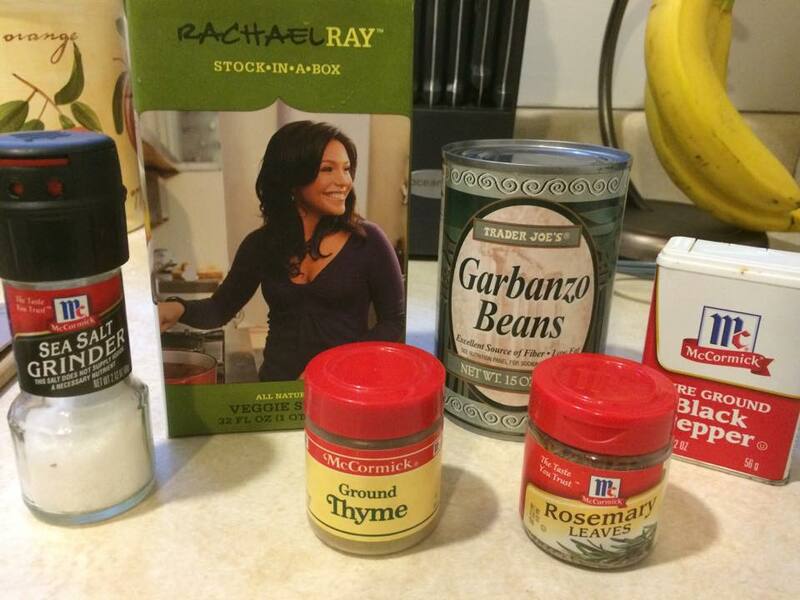 This is my first time doing a step-by-step cooking post, so bear with me! This one comes to you originally from NaturallyElla.com, which I’ve modified very slightly. The reason I’m including this post is because it’s an affordable luxury. The tomatoes are probably the most expensive component and will cost about $3-6, depending on whatever specials are happening at your local grocery store. Garlic, garbanzo beans, and vegetable stock will each set you back between $0.20 and $2.25 a piece. The only cautionary tale I have for this soup is that the original recipe only serves two… consider doubling it to enjoy this soup for more than one meal. 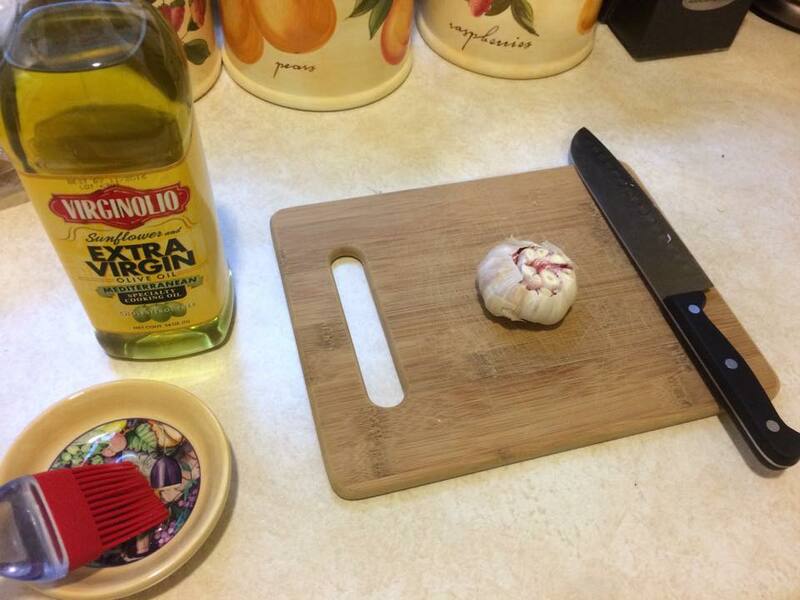 Start with a head of garlic. Chop off the top. Once you’ve chopped off the top, brush it with olive oil all over. Wrap the garlic in foil. 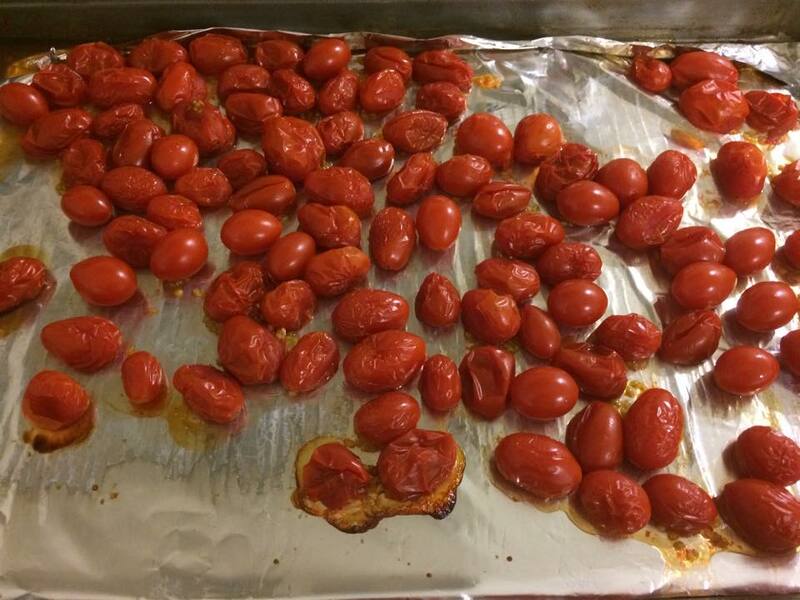 At the same time, spread your grape tomatoes on a baking sheet. 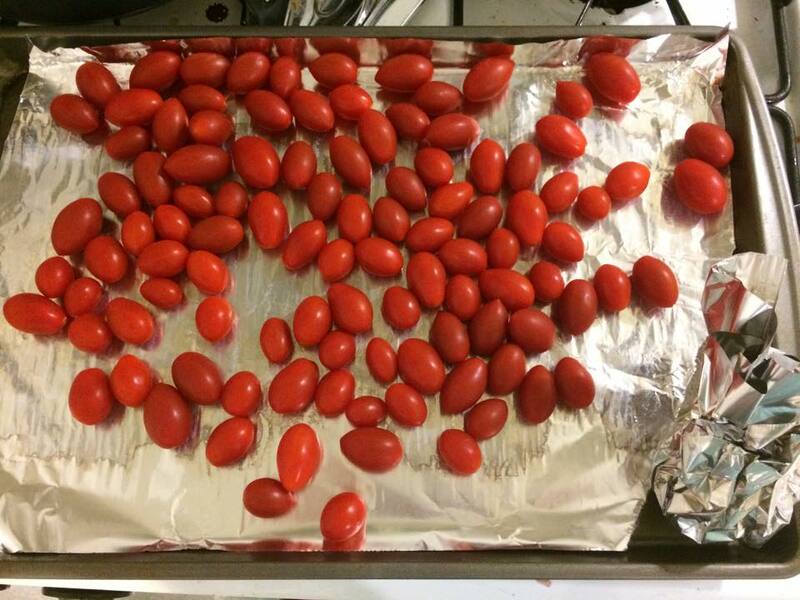 Cover the grape tomatoes with another layer of foil. You’ll cook the garlic for about 20-30 minutes, the tomatoes for an additional 10 minutes. 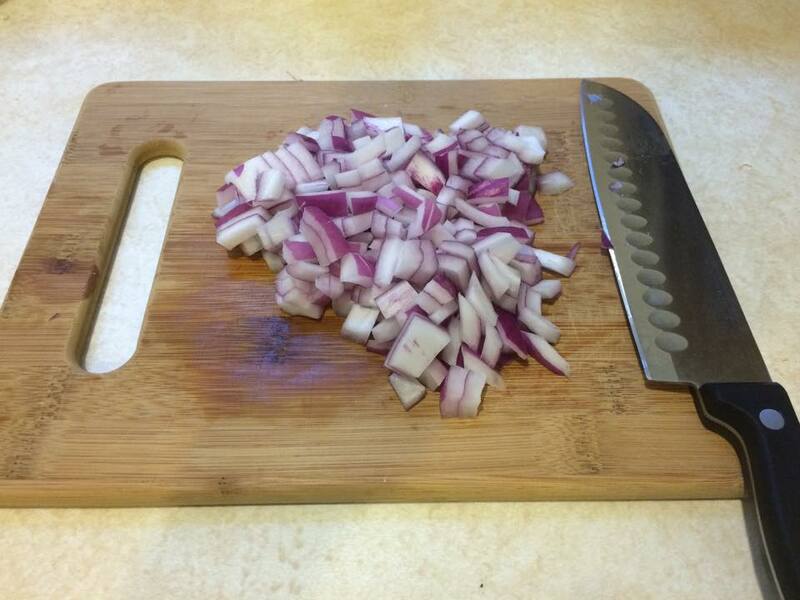 In the meantime, chop up a medium onion. I like the red ones, but you could use yellow ones if you prefer. The tomatoes will look pretty awesome when they’re done. 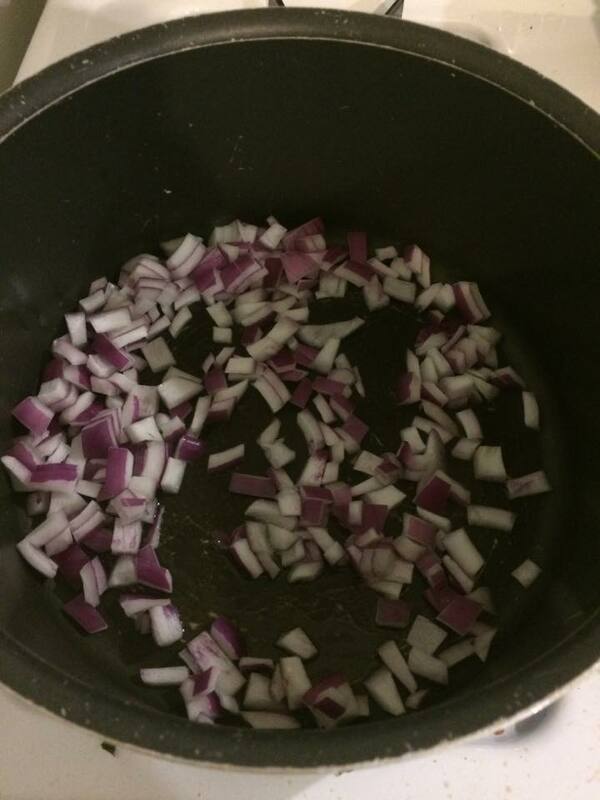 Start cooking up the onions in some olive oil. I use the spray to cut down on the fat. 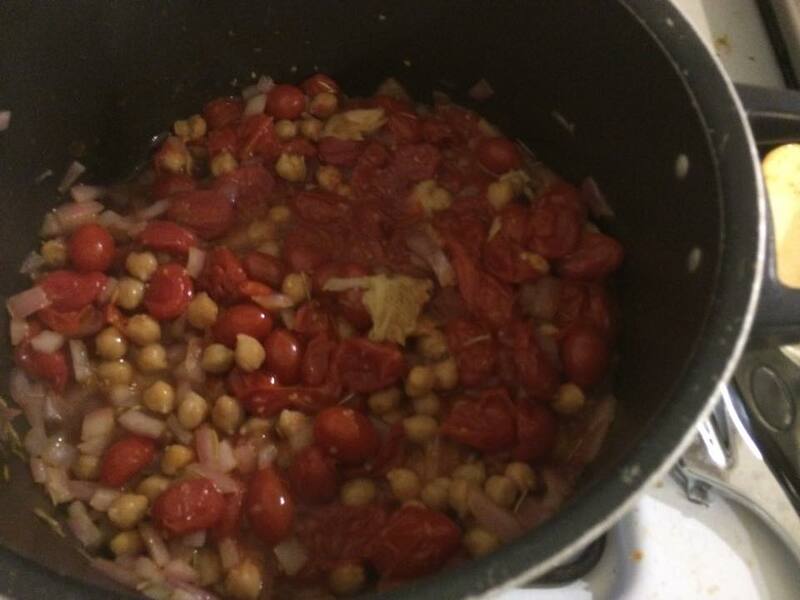 Add the garbanzo beans (I added a full cup instead of a half), tomatoes, and roasted garlic. 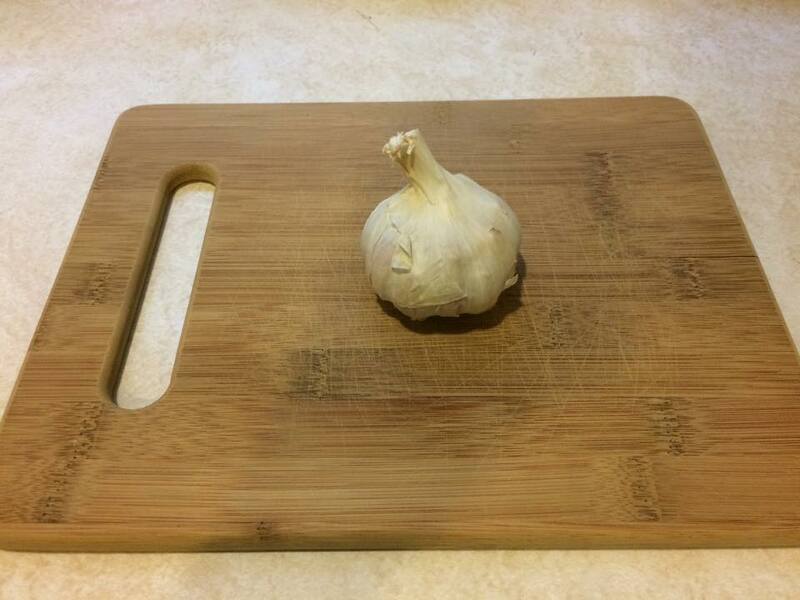 You’ll have to squeeze out the garlic. Be careful, it’s hot! Add in the veggie stock, thyme, rosemary, and salt and pepper to taste. 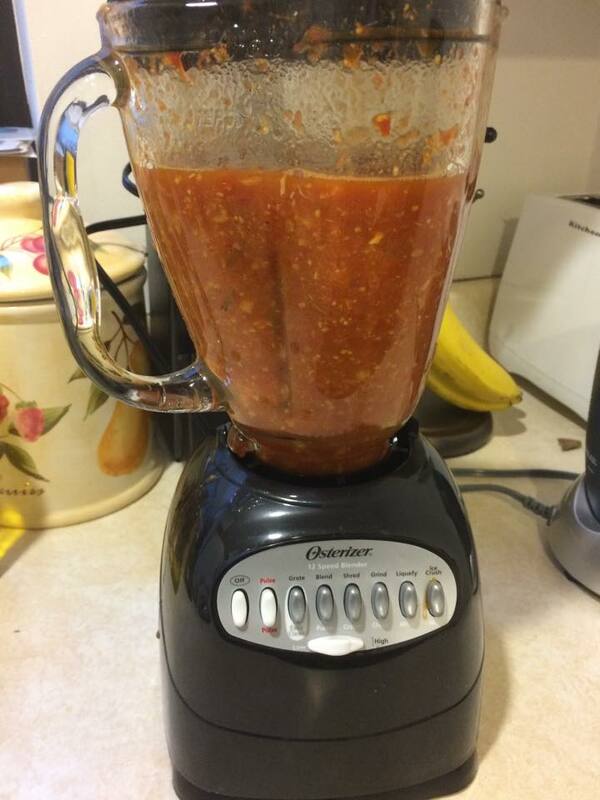 Once the complete mixture has simmered for about 20 minutes, throw it in a blender and pulse until smooth. And there you have it! 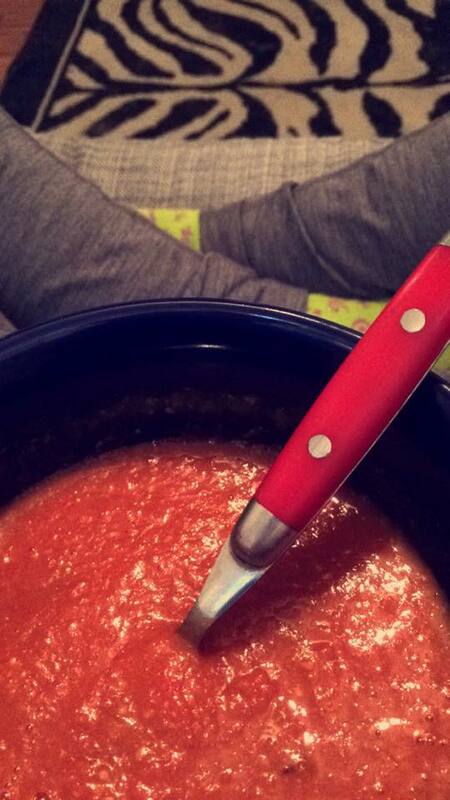 The perfect soup that packs a nutritious punch. Original recipe available on NaturallyElla.com.